This converter box convert digital HDMI or DVI signals into analog VGA and stereo audio. 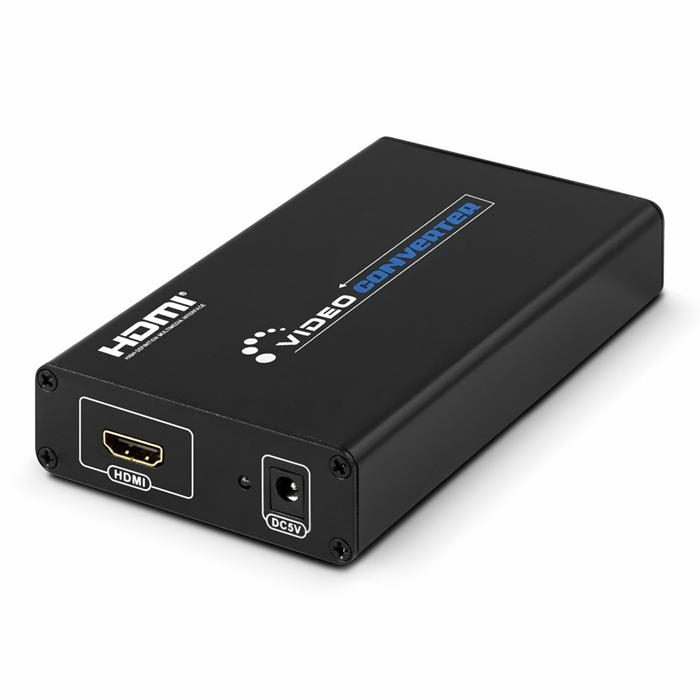 It is perfect solution for connecting video cards (desktop or laptop) or consumer electronics devices such as game consoles (PlayStation, Xbox, Wii U) or home theater receivers that offer an HDMI Out port to a VGA display. 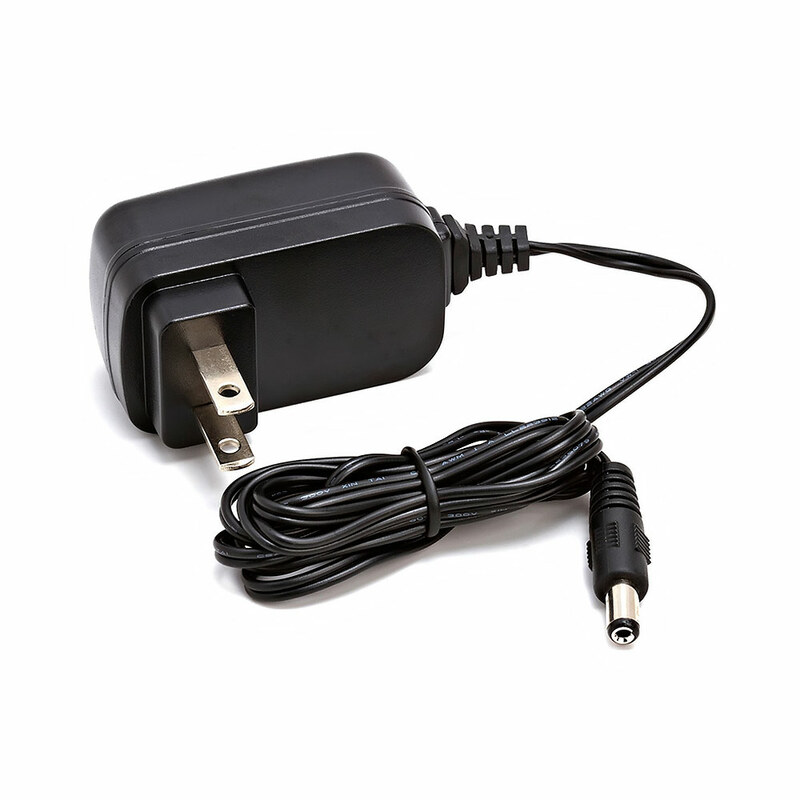 Easy to use, installs in seconds, no settings and it is a resolution pass-through converter. 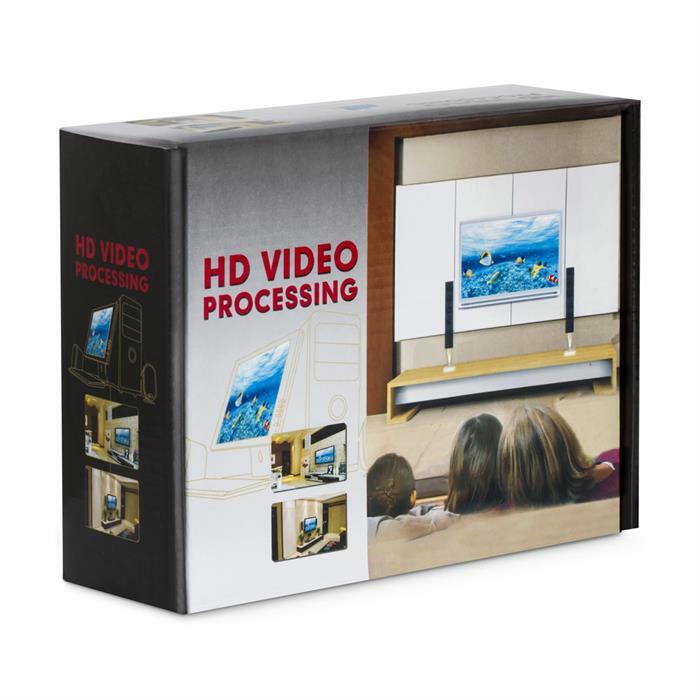 Purely for conversion between video formats but not convert the input/output video resolutions. 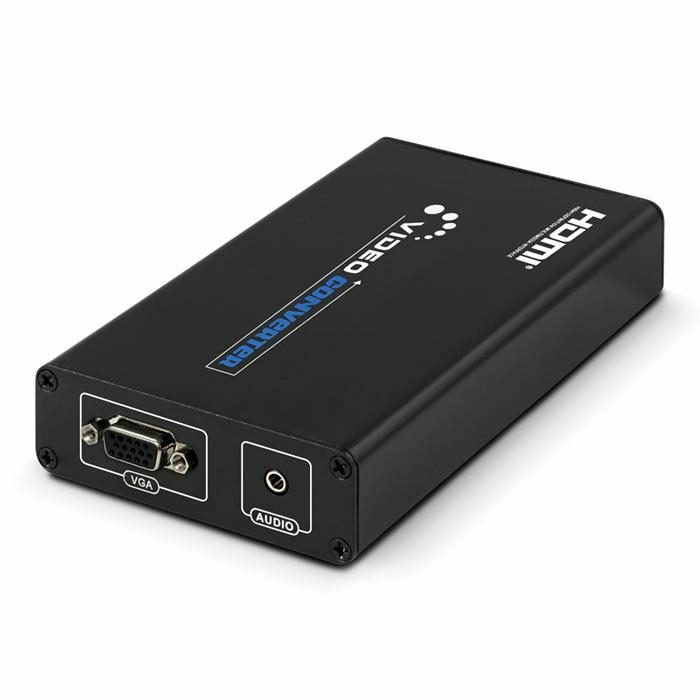 Audio output format: 2 channel LPCM. 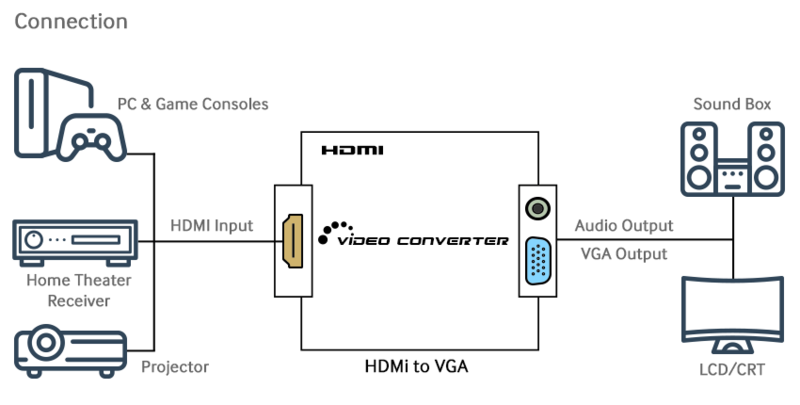 DVI resolutions: 800 x 600@60Hz, 1024 x 768@60Hz.